The Center for Cyber Security & Intelligence Studies (Center) provides the education, experience and resources essential to cultivate effective leaders in today's digitally dependent world. University of Detroit Mercy has been a National Security Agency/U.S. Department of Homeland Security National Center of Academic Excellence for the past decade. The Center combines University of Detroit Mercy's strength in software management, criminal justice and computer expertise with its liberal arts foundations. It builds cybersecurity professionals who are guided by logic, critical thinking and ethics. Based on its publication and service record, University of Detroit Mercy is pre-eminent in a critical area of national academic interest — the study of secure software development and acquisition and ICT supply chain assurance. Traditional protection of electronic information requires knowledge of networking and operating system security, as characterized in the NICE (2.0) specialty areas of Operate and Maintain and Protect and Defend. Like all other CAEs, Detroit Mercy incorporates the knowledge, skills and abilities (KSAs) from those areas into its academic program. However, because the old CNSS standards did not specifically call out the KSAs of the specialty areas of Securely Provision, those important KSAs are rarely found in a CAE curriculum. In that respect, Detroit Mercy is uniquely distinctive among CAEs by virtue of its well-documented history of excellence in software engineering education. The origins of software engineering in higher education can be traced to a Fall 1987 conference held at Carnegie Mellon University’s Software Engineering Institute. University of Detroit Mercy attended that conference and thus was one of the original 11 software engineering schools cited in SEI’s report. In the succeeding 20 years, the principles and methods of the discipline of software engineering were adapted to address an emerging crisis in exploitable code that threatens the entire electronic infrastructure of this country. Because University of Detroit Mercy has always been in the forefront of the field of software engineering, its teaching program has been at the leading edge of that discipline while at the same time University of Detroit Mercy was designated a Center of Academic Excellence in Information Assurance Education (CAE/IAE) in 2004. Consequently, along with traditional cybersecurity knowledge, Detroit Mercy students also have a specialized capability in the principles and processes of secure software development, sustainment and acquisition (NICE 2.0-specialty area Securely Provision). In addition to having in place a unified curricula that incorporates this valuable knowledge, University of Detroit Mercy faculty have shaped the software assurance profession by providing two of the five authors of the Common Body of Knowledge to Secure Software (DHS, 2008) as well as co-chairing the DHS Workforce Education and Training Working Group (WET/WG) for the Software and Supply Chain Assurance initiative. Furthermore, Detroit Mercy is recognized by the National Security Agency and the U.S. Department of Homeland Security as a Center for Academic Excellence in Cyber Defense Education for 2017-2021. Detroit Mercy helped the Institute for Defense Analysis (IDA) develop the initial educational content and a pedagogy for ICT supply chain risk management in 2012. As a result, it is essentially the only university besides the National Defense University that has a regular course in supply chain risk management. This particular expertise is a unique feature of our program. So, besides conventionally skilled graduates the SFS Program will produce specialists in ICT acquisition. Founded in 2004, the Center for Cyber Security and Intelligence Studies celebrates a decade of evolving excellence through the embodiment of our teaching in graduates who have gone on to work for Federal security agencies, Fortune 500 companies and not for profit organizations. In addition, our leading edge cybersecurity lab provides dual value by providing our students with the tools to help law enforcement recover and validate through digital forensics. To advance the cybersecurity capabilities of the workforce within the Detroit Mercy service region as well as nationally; especially in Secure Software development and acquisition and Supply Chain Assurance (SSCA), a major Department of Homeland Security / Department of Defense (DHS/DoD) initiative. To increase the number of highly educated, digitally literate citizens within underrepresented people and veterans and to produce professional specialists in areas of critical need from among those groups. To generate educational, outreach and research activities that will ensure the protection of the critical infrastructure of the United States as a whole. Most of the technology products utilized by government and industry are acquired rather than developed. And the work that goes into building commercial-off-the-shelf (COTS) products is outsourced down a supply chain. The national security issue arises from the well-documented fact that organizations in general and the government, in particular, have lost visibility and control over what is going on at the bottom of that chain. Since we build defense systems out of components derived from global sources, it would be an easy matter for an adversary to compromise a purportedly secure system through a third- or fourth-tier off-shore supplier. Thus, the vulnerabilities created by insecure information and communications technology (ICT) supply chains will have to be addressed if we ever want to be certain that our adversaries cannot, destroy power grids, water and sanitary services, Induce mass flooding, release toxic/radioactive materials or bankrupt any business by inserting malicious objects into the (ICT) components that comprise our infrastructure. Dr. Jayshree Pandya, Founder of Cyber-Security and Strategic Security Risk Research Centers at Risk Group discusses "The Need for Security-Centric Integrated Risk Management Framework" with Professor Daniel Shoemaker, director of the Master of Science in Information Assurance Program. With funding from the U.S. Department of Defense, University of Detroit Mercy built the Center for Cyber Security & Intelligence Studies leveraging the collaborative strengths of its Computer & Information Systems and Criminal Justice departments and has the perfect array of programs and curricula to meet the nation’s needs for more cybersecurity professionals. University of Detroit Mercy's graduates, in addition to conventional skills, can select the courses to specialize in cybersecurity and intelligence analysis. In 2012, the University helped the Institute for Defense Analysis (IDA) develop the initial educational content and pedagogy for ICT Supply Chain Risk Management. As a result, Detroit Mercy and the National Defense University are the only universities to offer a regular course in supply chain risk management. University of Detroit Mercy's program distinction at the graduate level in the area of secure software assurance and ICT Supply chain risk management produces unique graduates, all of whom are singularly qualified in this essential aspect of security. The Center’s state-of-the-art lab equipment includes digital forensics workstations, portable data acquisition devices, threat analysis software, wireless antennae, advanced encryption software and malware debugging software. Students engage in hands-on activities using sophisticated, specialized tools and technology, including exposure to simulated environments using virtual machine technologies. As a result, students gain familiarity with the equipment and processes used in the industry to make them highly marketable candidates for jobs. Finally, security is a global concern, and we believe that students must understand a range of cultures. Therefore, besides active efforts to involve students in cultures outside of the classroom, Detroit Mercy has previously conducted an annual study abroad program since 1988. The past several years that program was located at London Southbank University, where one of the Detroit Mercy faculty members has a courtesy professorship. The last year was at De Montfort University in Leicester England to give students more in-depth exposure to the mobile computing and cyber-range technology, which was developed there. This international opportunity gives Detroit Mercy students an enhanced view of how they fit into the community of global practice as well as add special value to the large number of disadvantaged students who have participated over the years. Information on job opportunities will be posted below as we receive it. Detroit Mercy’s Center for Cyber Security and Intelligence Studies received a contract from the Michigan Economic Development Corporation in April 2017 to grow awareness and participation in the National CyberPatriot Program. This funding allows Detroit Mercy to sponsor four summer camps and 80 teams for the 10th National CyberPatriot 2017-2018 season. University of Detroit Mercy's Center for Cyber Security & Intelligence Studies is the driving force behind the Midwest Chapter of the Colloquium for Information Systems Security Education (MCISSE) CyberPatriot program in Southeast Michigan. Detroit Mercy's financial and volunteer support this year successfully doubled the number of teams able to compete from the State of Michigan. Graduate students from Detroit Mercy's Information Assurance program also provided on-site support to coaches at the participating schools. Of the nine teams from Wayne, Oakland, Macomb and Washtenaw counties, one advanced to the platinum round, drawing the attention of Michigan's Governor. Detroit Mercy is especially proud of three teams from Cass Technical High School, the only teams in the open division from the City of Detroit. In 2016, Detroit Mercdy and MCISSE will be conducting "train the coaches" clinics as well as identifying additional sponsors. University of Detroit Mercy will invest these sponsorship dollars to host a summer camp and other events to grow Michigan's representation in this national competition. University of Detroit Mercy faculty also worked under a $100,000 contract with the Institute for Defense Analysis (Fall 2013) to develop an ICT Supply Chain Risk Management course for the National Defense University. One outcome of this effort was that a Univlersity of Detroit Mercy faculty member was contracted by the U.S. European Command (EUCOM) to teach the first ICT supply chain risk management course to active duty military participants in Europe (Grafenwoehr, Germany, 2013). That same course has been taught as part of the curriculum for the past two years at Detroit Mercy. That distinction makes Detroit Mercy and NDU the first two academic institutions in the country to provide this critical knowledge. In addition, Detroit Mercy has developed and will offer a course in secure acquisition (Spring 2013) based on the faculty member's book published by Cengage publishing. During that project, Detroit Mercy graduate students played a significant role in all phases of the research. In turn, the direct exposure to faculty research helped Detroit Mercy guarantee that its students would be prepared to assume thought leadership in the critical field of secure software. 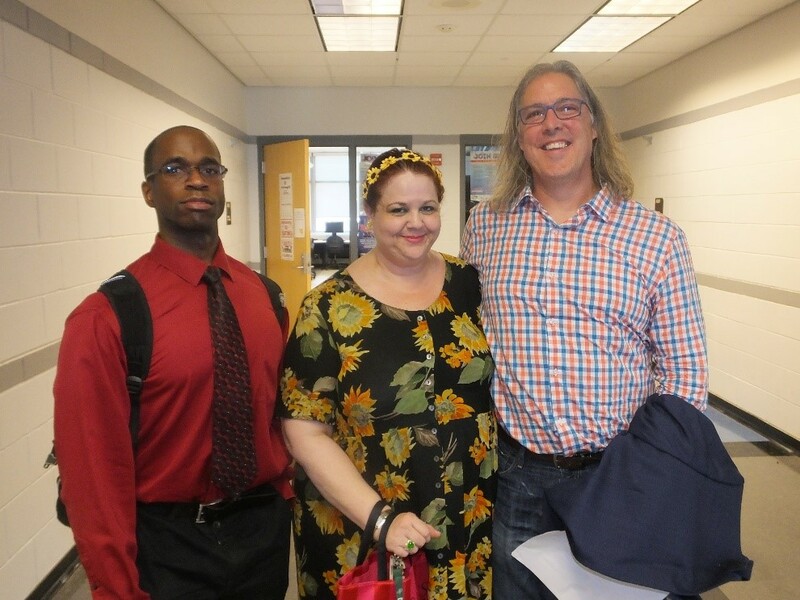 University of Detroit Mercy faculty were given a $15,000 grant to work with Cypherpath Inc. (Reston, Virginia) to commercialize and package the comprehensive secure software assurance curriculum for distribution in on-line settings and for targeted training environments. University of Detroit Mercy executed a $100,000 contract with the Cyber Innovation Center (CIC) a State of Louisiana research center that is located in Bossier City, Louisiana. The work product was a refinement of the comprehensive curriculum for secure software assurance that was developed through the two-year Department of Defense sponsored grant. As a result, University of Detroit Mercy's prominence in the field of Secure Software and Supply Chain Assurance Education it obtained a two-year, $1.6 million Department of Defense (DOD) grant to develop pedagogy and teaching material for this newly emerging discipline. University of Detroit Mercy executed that contract through U.S. Army Tank Automotive Command (TACOM) as a subcontractor to Perot Systems/QSS. The aim of this two-year Federal contract was to develop and disseminate the knowledge necessary to ensure that the software that enables America's business and critical infrastructure is safe and secure. University of Detroit Mercy executed a contract for NSA at TACOM in the amount of $80,000 (first year) and $140,000 (second year) to do threat modeling for their operational systems. The end product of this research was a UML based map of the threat environment for that installation. University of Detroit Mercy jumped to the forefront of the effort to secure America's cyber infrastructure by being designated an NSA Center of Academic Excellence in Information Assurance Education. University of Detroit Mercy became the second institution in the entire upper Midwest to receive that distinction. May 25, 2017. University of Detroit Mercy's McNichols Campus. Highlights of the Michigan CyberPatriot Program and new funding. 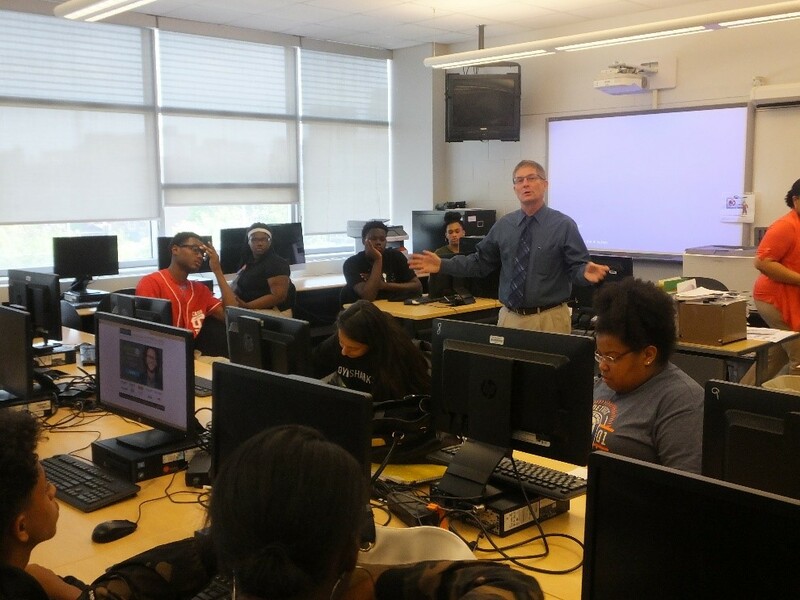 Gregory Laidlaw discusses his career as an IT and Cybersecurity consultant and educator. James Ratliff discussing his career at GE Power. May 11-13, 2017. Exhibitor at Converge Con, promoting Detroit Mercy's Center for Cyber Security & Intelligence Studies, Detroit Mercy's academic programs in cybersecurity and the need for CyberPatriot mentors for the Michigan competition. Listen to the radio interview that played on ITinthe D.
April 30, 2017. Tamara Shoemaker, director, University of Detroit Mercy Center for Cyber Security & Intelligence Studies, presented on the growth of the Michigan CyberPatiriot Program at the Tuscon, Arizona, conference. Tamara Shoemaker presents at the conference. March 2017. Exhibitor for Detroit Mercy's cybersecurity programs and the CISSE organization. February 2017. 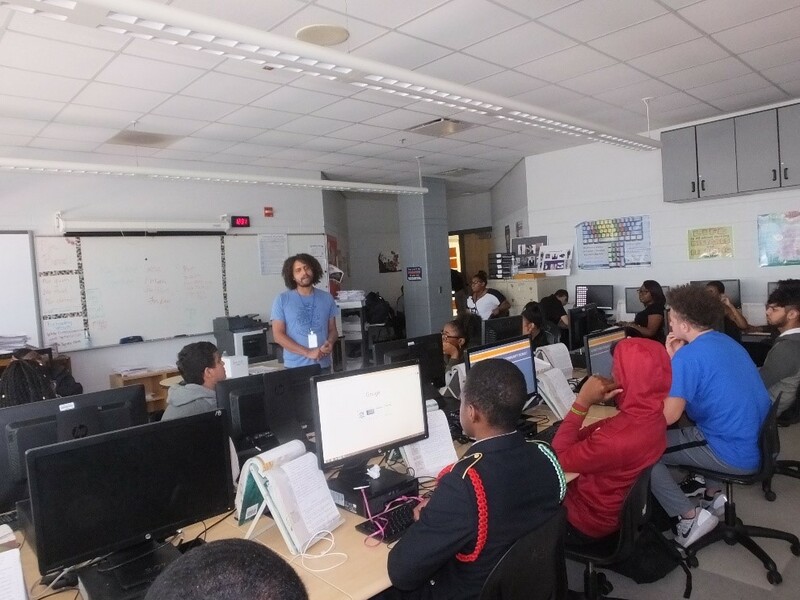 The Center held its first TEKSystems cybersecurity career session. MCISSE is a professional organization open to academics, industry and governmental agencies that foster information assurance or cyber security development, based on national and international standards: NIST, CNSS, ISO, along with BSI Americas and other recognized cyber security standards. Visit the MCISSE site for events and announcements. The Center for Cyber Security & Intelligence Analysis is housed in University of Detroit Mercy's College of Liberal Arts & Education. Dan Lohrmann, chief strategist and chief security officer at Security Mentor, Inc.
University of Detroit Mercy is recognized as one of the premier private universities in the Great Lakes region. For more than 10 consecutive years, Detroit Mercy was voted as one of the best universities in the Midwest by US News and World Report. Originally founded as a Jesuit college in 1877 and strengthened in the 1990s by joining with the Sisters of Mercy, the University has a 140-year history and a well-established reputation for academic excellence. A Detroit Mercy education integrates the intellectual, spiritual, ethical, and social development of its students. That reputation was further enhanced by Detroit Mercy’s designation as a National Center of Academic Excellence (CAE) in Information Assurance Education in 2004, making it a pioneer in that area of education. In 2016, it received designation as a Center of Academic Excellence in Cyber Defense Education (2016-2021). Detroit Mercy’s mission is to, provide excellent, student-centered, undergraduate and graduate education in an urban context. That urban service mission was highlighted in the 1970s by Detroit Mercy choosing to stay on its campus in Northwest Detroit, rather than move to the suburbs like other Detroit institutions at the time. Detroit Mercy continues to serve in that capacity as an initiator for efforts to rebuild the City of Detroit and is one of the direct sponsors of Focus Hope Detroit, a minority-serving Catholic training foundation, located adjacent to the Detroit Mercy campus. Detroit Mercy is also an active and enthusiastic participant in the “Wounded Warrior Program” and is recognized as a “Military Friendly School®”. It has a special advising programs to repurpose former active duty military veterans. One of the faculty advisors is a former Army Major General (Charles Wilson, associate professor of criminal justice studies) and a recruiter is a “Wounded Warrior” graduate of the Master’s Program.